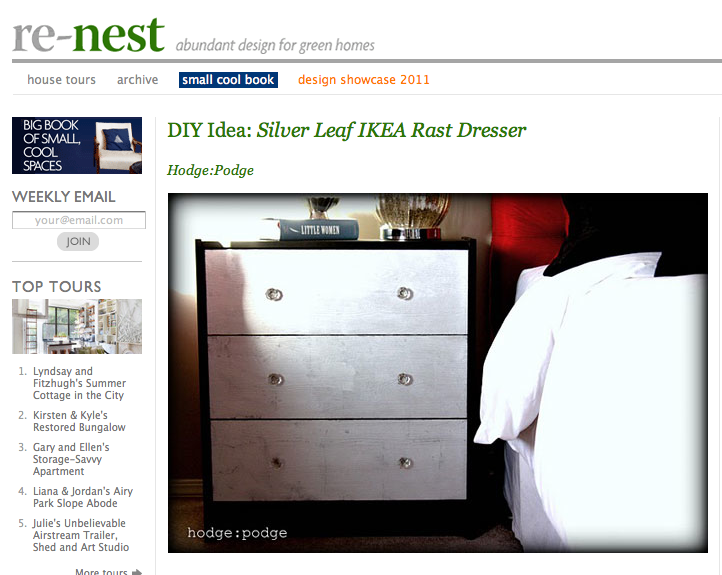 A huge thank-you to Apartment Therapy for featuring my Silver Leaf Ikea Rast hack! 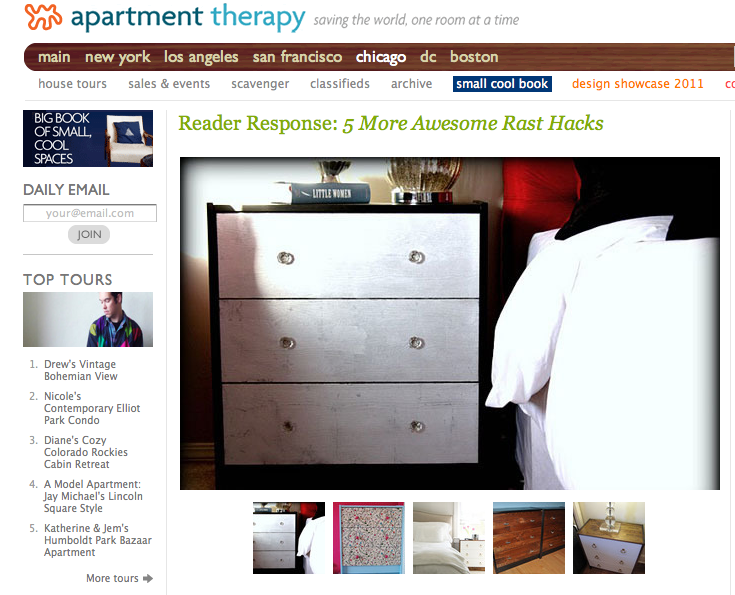 A few months ago it was also featured on Apartment Therapy's Re-Nest site too. of Apartment Therapy was a teacher? You can read his interview in the latest issue of Canadian House and Home! I guess we teachers are a creative lot. Congrats, I'm sue that your piece will inspire many others. Congrats!!! That is awesome!! You should be so proud!! Congratulations Barbara!!! Soooo excited for you :) This is a gorgeous dresser. Recognition totally deserved. That is awesome! I heart teachers. Some of the best people I know (including my mom and my two favorite aunties) are teachers! Congrats! You must be thrilled. I really have to try that silver leaf. Have a good one! Congrats Barbara! Love your hack! Well you know what's going to happen now don't you? There will be trillions of this exact hack popping up all over the place. Congrats Barb!! I am not surprised they featured your project! Love you take on the Rast dresser! I agree with the other commenters, tons of people will be copying your dressers! I know, cause I put them on my to do list after seeing them! congrats! That's so exciting and you'll now be famous for your super-chic hack! Congrats, Barbara! How cool is that? I'd like to think we teachers are a creative lot. :) I had no idea that any of the folks you mentioned are/were teachers. Congratulations on getting featured, Barbara! This is so awesome! It's easy to see why because your dresser looks fabulous! P/S: Come by and enter my giveaway for a chance to win a stylish book: 'Shoestring Chic' by Kerrie Hess!